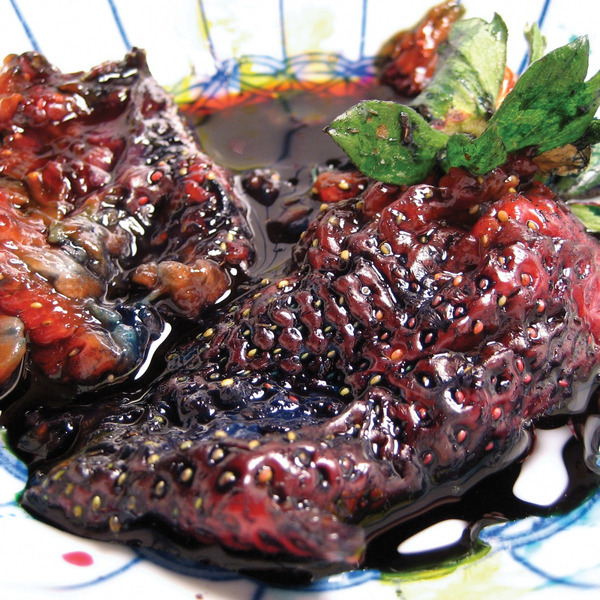 Animal Collective's previous full-length outing "Feels" catapulted the band to an entirely different level of success, and "Strawberry Jam" is sure to see their popularity escalating even further. Between the two albums, Panda Bear caused quite a stir with his own solo album, a record brimming with psychedelic experimentation and classic, Beach Boys-influenced pop ambition. Consequently you'd expect the band to have already blown a whole heap of their best ideas, and if the lead-up 10" Peacebone (with the superb B-side 'Safer') hadn't set your mind fully at ease, fear not, the best is still yet to come. The album opens with the single's steel drum clatter only to stagger into the crazy electro-Brian Wilson freakout 'Unsolved Mysteries' and the similarly screwy 'Chores'. It's only once you're about halfway through the album that it's standout moment rears its head: 'Fireworks' has to rank as the band's finest pop song to date, and finds them taking their ordinarily very whimsical, playful persona to a next level, summoning up an absolutely magical way with melody and some predictably imaginative (if that isn't too much of an oxymoron) production gestures thrown in. Next up, the weirdo synth arpeggios of '#1' make for yet another departure from familiar pop music territory, slowing the pace down nicely for the hyperactive over-excitement of 'Winter Wonderland' in all its joycore jingle jangle. 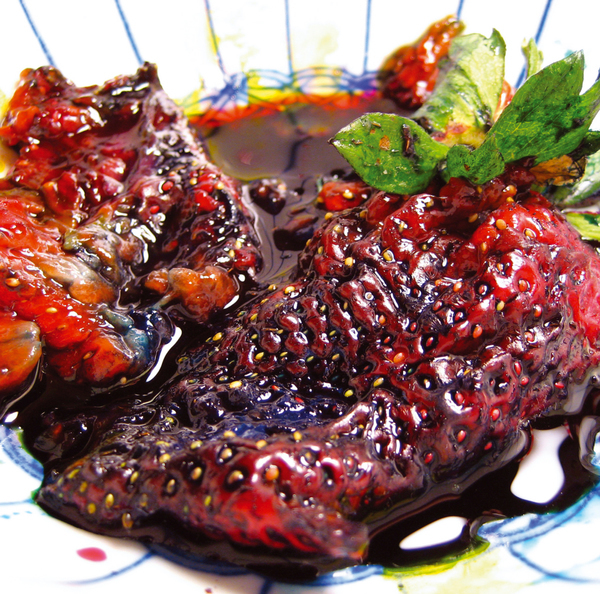 Anyone already vehemently opposed to Animal Collective and their experimental pop frivolousness is unlikely to find anything to convert them on Strawberry Jam, but if you have an open ear to new adventures in pop music you should get acquainted with this album right now. Highly Recommended.